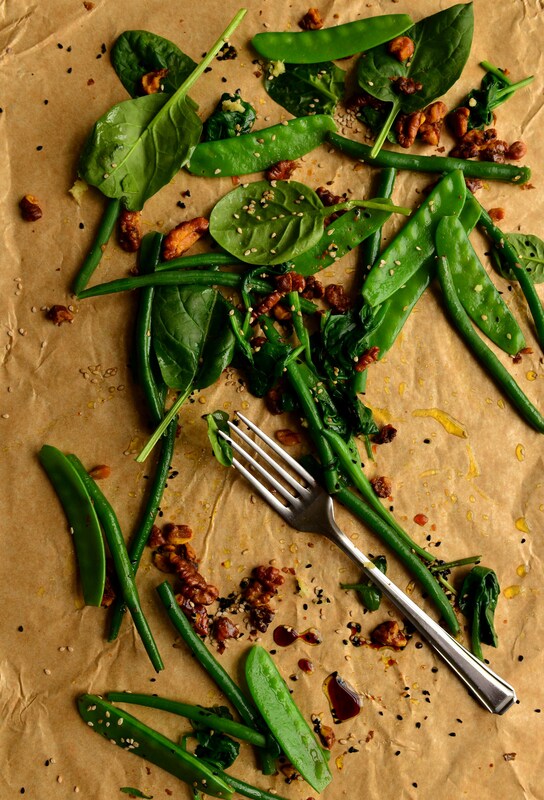 Read Paris’ equally gushing Ottolenghi-related post here. First, prepare the walnuts. Preheat the oven to 180C. Mix together the turmeric, sugar and olive oil with a tsp water to form a paste. Put the walnuts in a baking dish and stir through the turmeric paste. Roast in the oven for 10 minutes, stirring occasionally, until toasted. 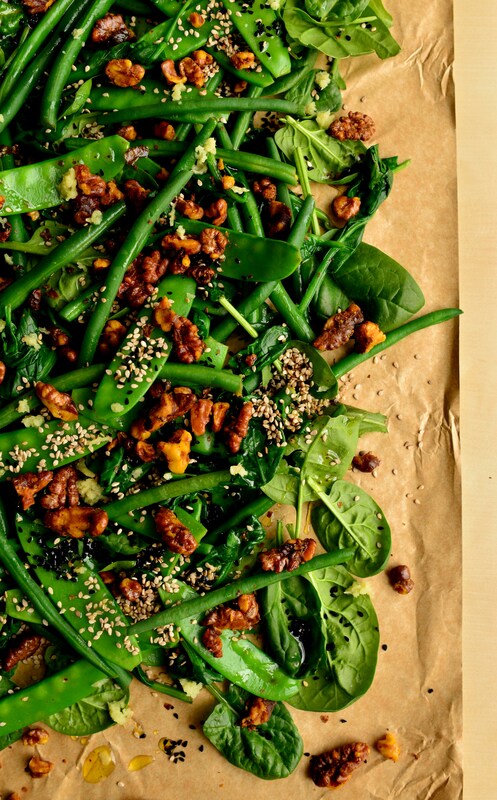 Bring a pan of water to a simmer, and blanch the vegetables: put the green beans in the water first for about 3 minutes, followed by the mangetout for 1 minute, then half the spinach for 30 seconds. Refresh under cold running water for 30 seconds, to retain the bright green colour. Whisk all the dressing ingredients together in a glass. 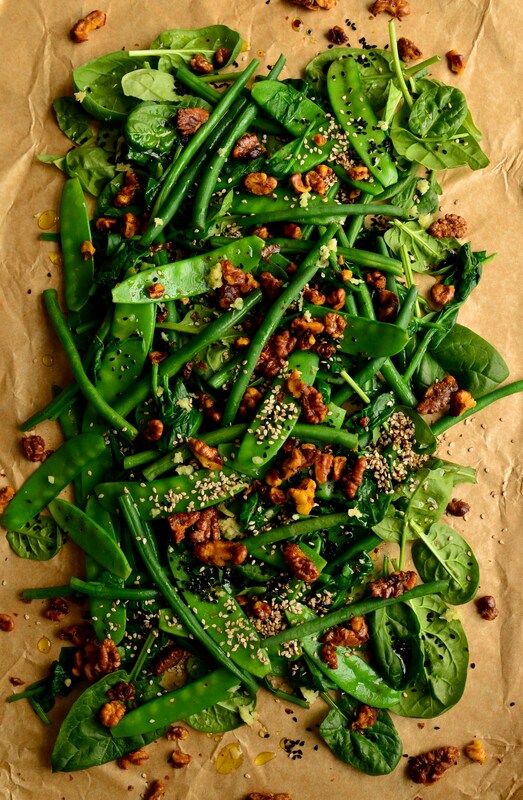 To serve, arrange the green veg, adding the rest of the fresh spinach, then top with the walnuts, drizzle with the dressing and sprinkle over the sesame seeds. 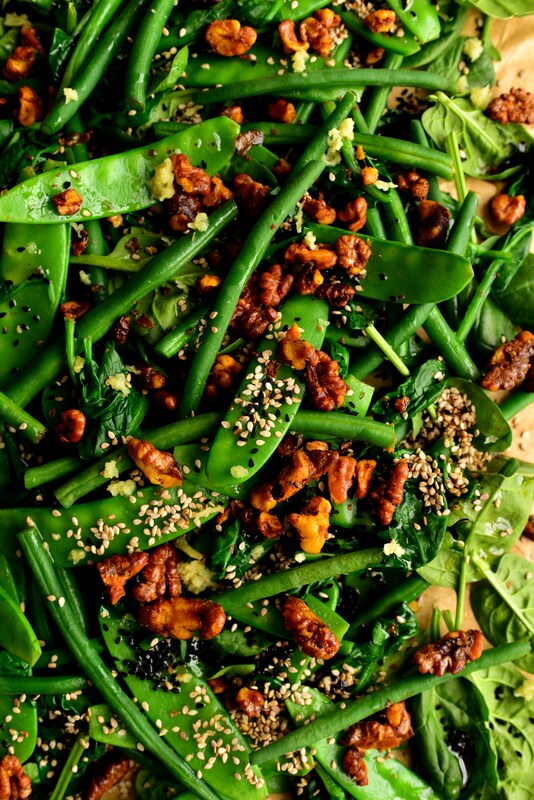 This entry was posted in Asian, Middle Eastern, Nuts, Salad, Savoury, Seeds, Vegan and tagged green beans, mange tout, Ottolenghi, salad, sesame seeds, tumeric, walnuts. Bookmark the permalink.